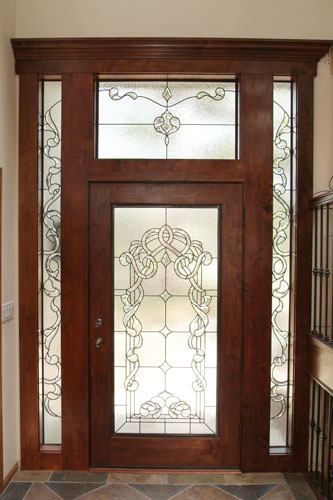 Entryway stained glass allows you to create a wonderful first impression for anyone entering the home. 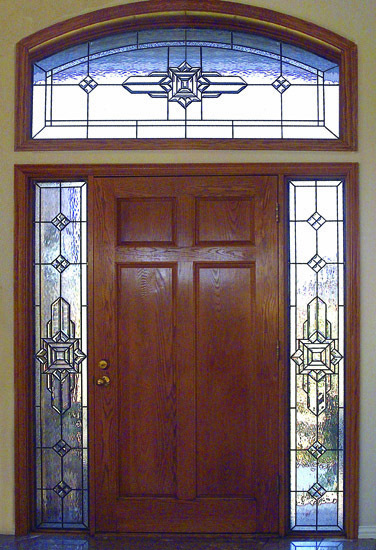 Entryway custom stained glass can be designed with clear cut, beveled glass pieces which will allow light to come into the home but then use clear textured glass around the bevels to ensure privacy and prevent unwanted viewing from the outside. 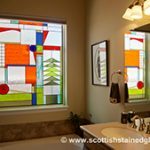 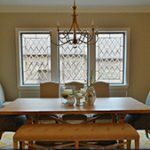 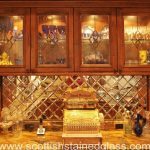 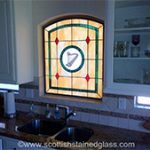 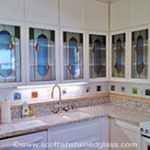 At Scottish Stained Glass, we can replace your existing sidelights with a new piece of glass, or create an entirely new entryway for your home. 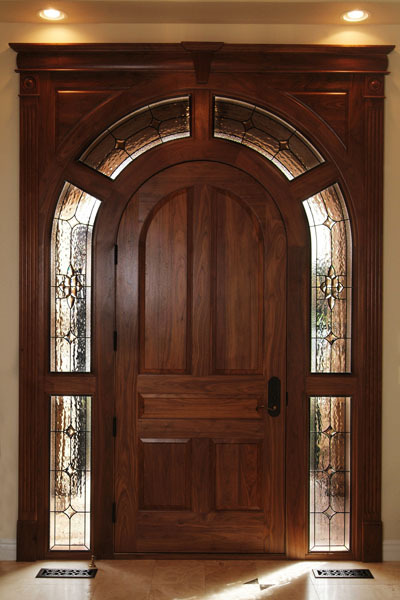 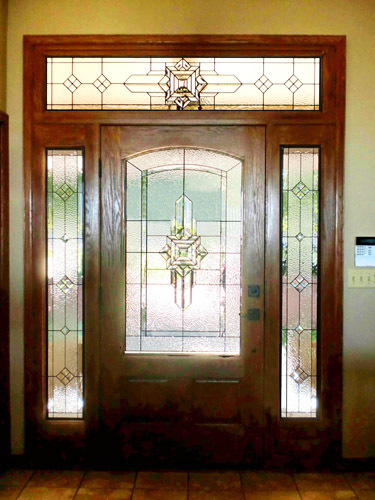 We can create a custom door to encase your new stained glass window design, and build framing for your sidelights that ties everything together. 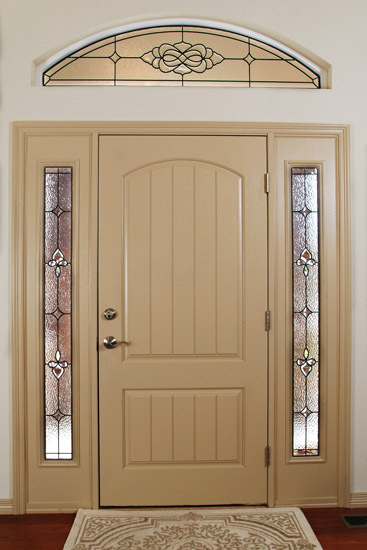 We have many door options, so our designers will work with you to find which style is best for your home. 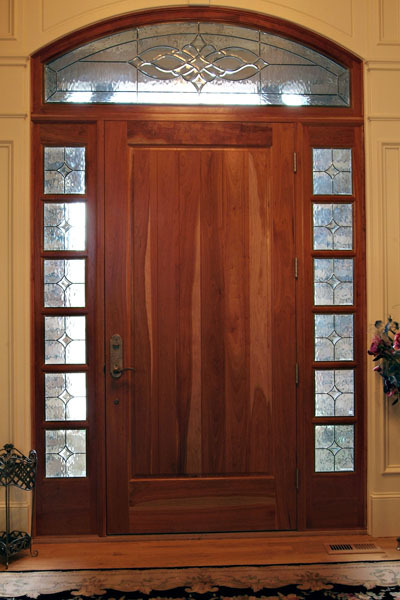 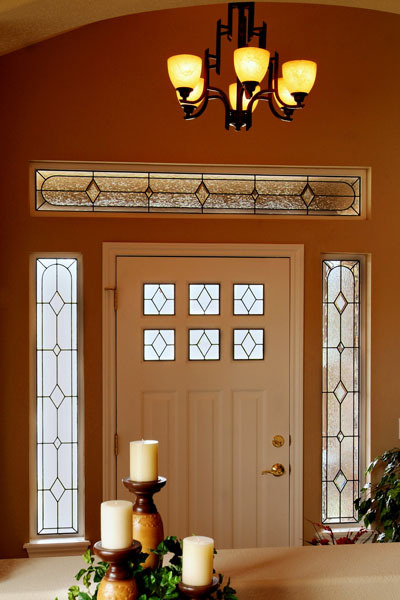 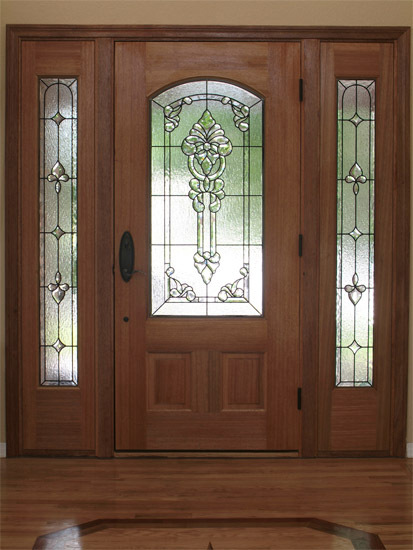 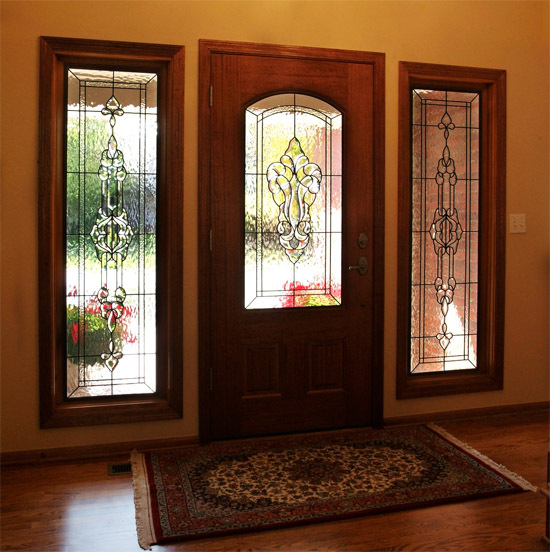 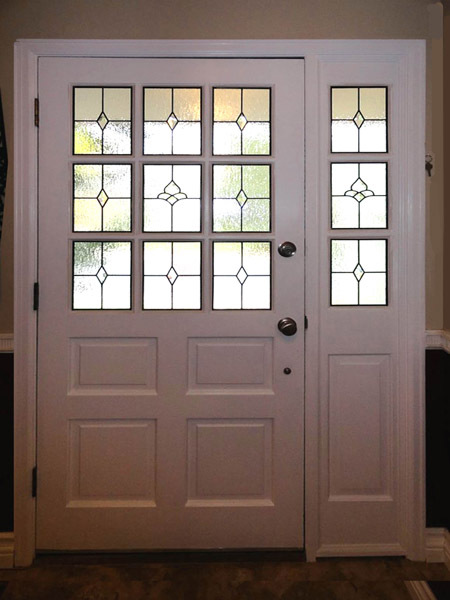 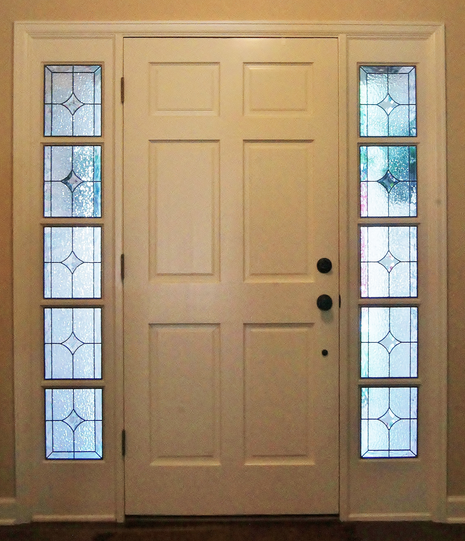 The use of leaded glass on an entryway is also great for the resale value of any home. 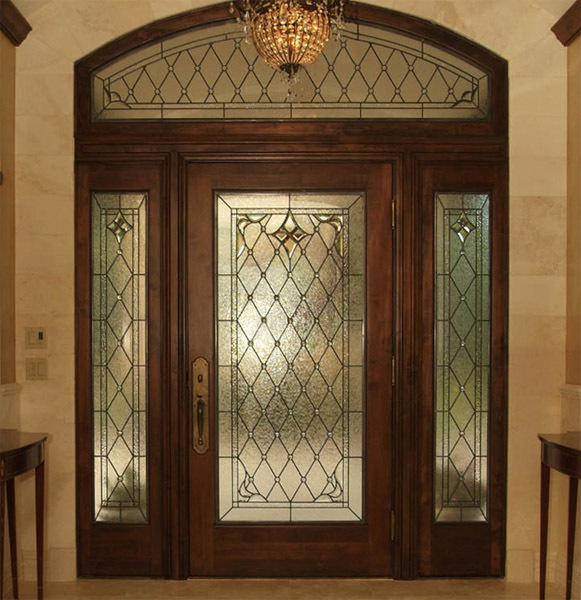 When prospective buyers arrive for the first time to be greeted by such an elegant creation they immediately get the impression of a home with a custom feel to it. 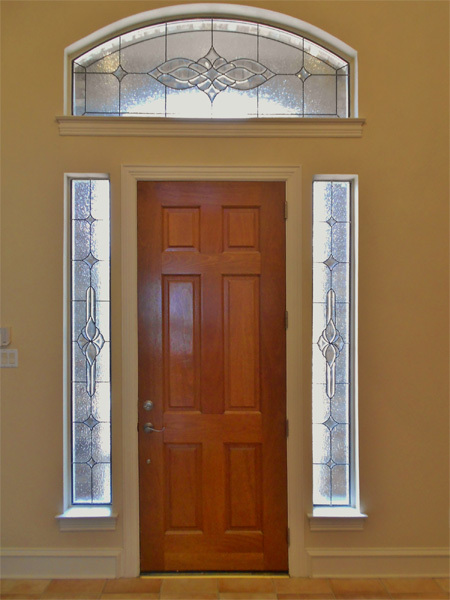 This sets the home apart from others the buyer may be viewing that day. 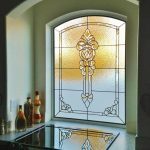 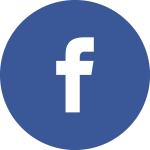 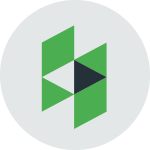 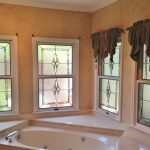 For this reason, many custom builders will order stained glass window entryways for the homes they are building and many Realtors contact us during the selling process. 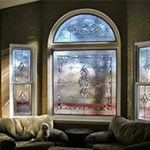 They know that if they add stained glass to their homes, they will sell faster. 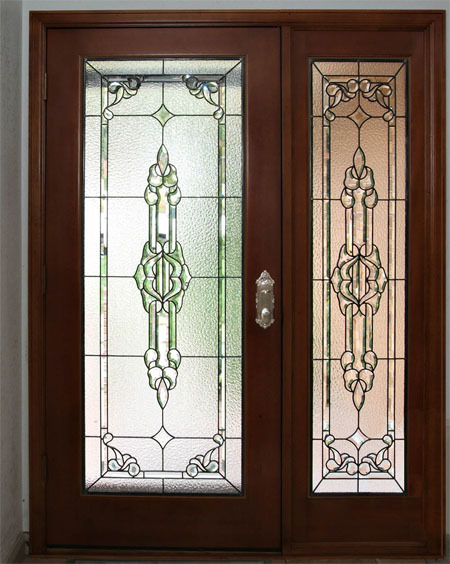 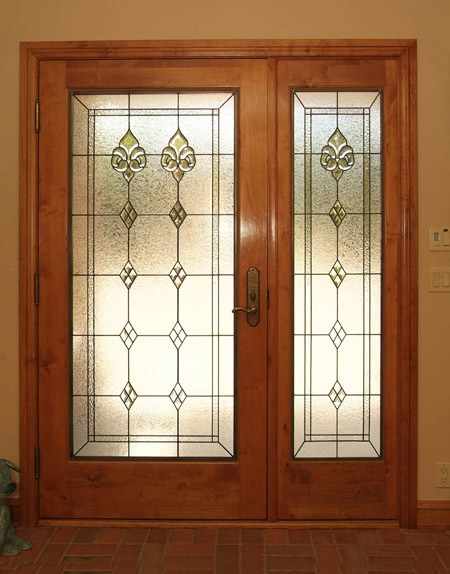 When designing stained or leaded glass entryways you have to look at both the external appearance of the home as well as the interior design to ensure that the glass fits with that architecture. 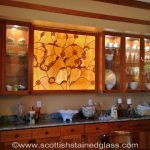 It’s a challenge which Scottish Stained Glass has taken on thousands of times and, as you can see in our stained glass gallery, with stunning results every time. 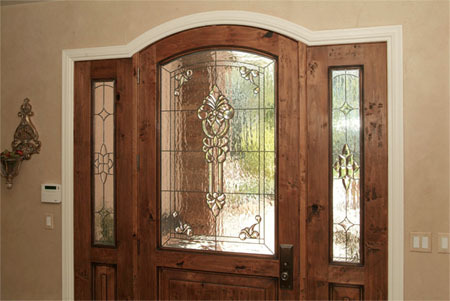 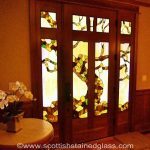 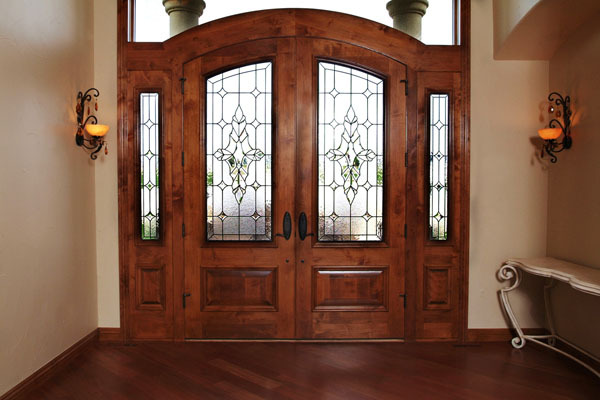 There are many options when you look at creating a stained glass entryway. 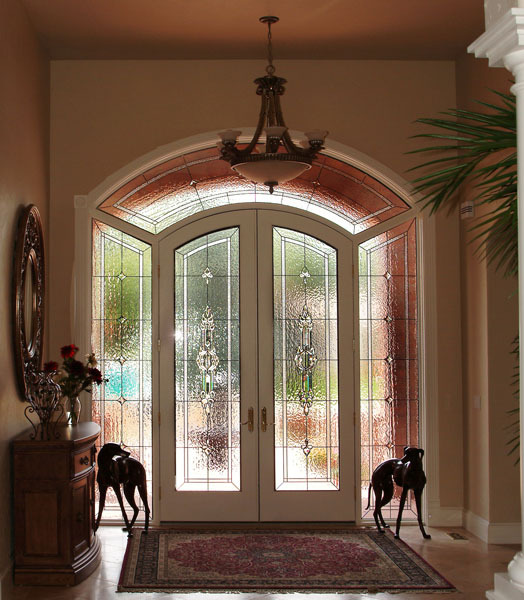 Our designers will work with you through the process to ensure that you end up with an entry that opens your open beautifully, while complimenting your personal style. 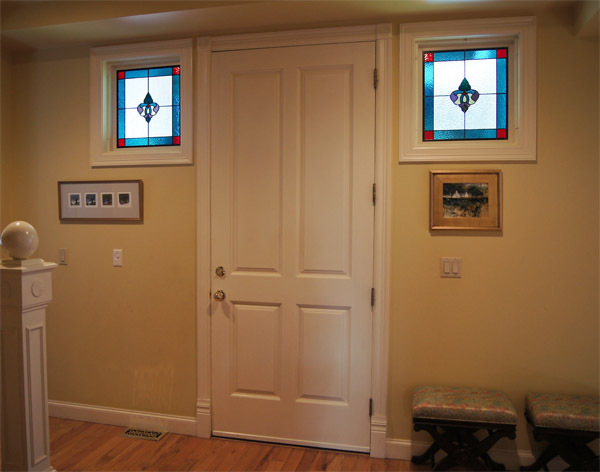 We want to create an addition that makes you smile each time you walk into your home. 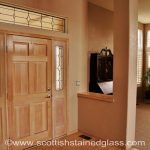 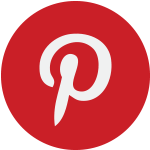 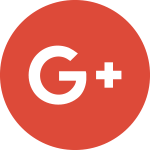 Contact us today to set up a consultation for your Scottish Stained Glass entryway. 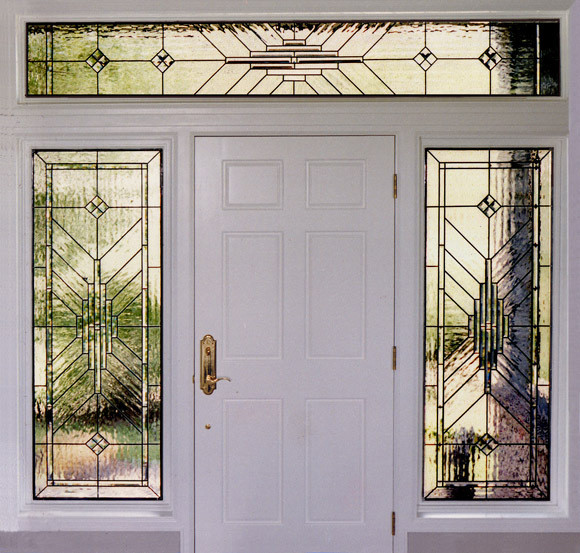 To see more photos visit our complete entryway stained glass gallery.